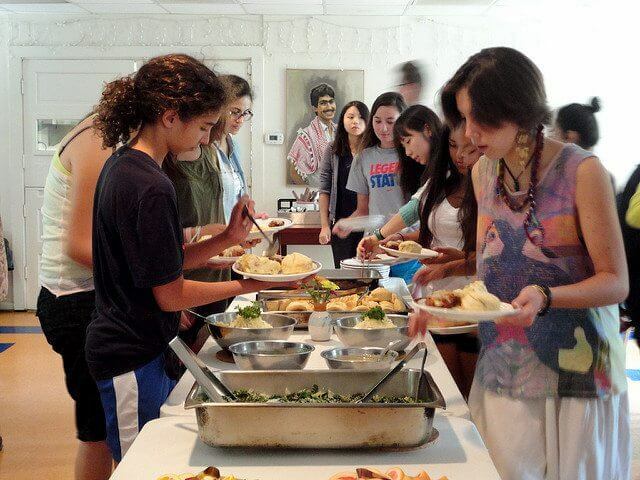 Dining at GYV is an international experience. You won’t be getting standard cafeteria food here. We cook fresh whole foods, no canned or frozen vegetables, and no highly processed foods. We even have homemade bread. We believe in sustainable living. As part of that, we serve a predominantly vegetarian diet – we serve meat a few times during Special Events. Have any dietary restrictions? No problem. The kitchen crew can accommodate you. Your meals will be fresh, healthy, and delicious!